After completing my tour around the resort and my little afternoon siesta, it was time for tea at the Cinta Terrace Restaurant which is located conveniently next to the pool. 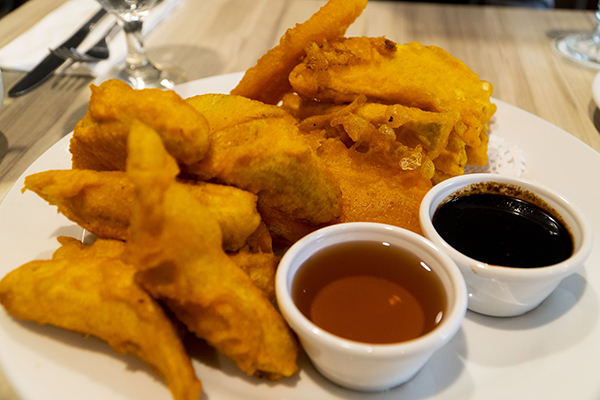 Our tea time snack consisted of a plate of Pisang Goreng and Ubi Keledek served the true Johorean favourite way with kicap pedas dip as well honey and Teh Tarik. Being Malaysian, I couldn’t think of a more perfect snack for tea. It was then time for my spa treatment – something I was looking forward to the whole day. I got an amazing Balinese massage for an hour that sent me straight to sleep during the blissful massage session. The next thing I knew, it was time for dinner at the Cinta Terrace Restaurant, and by this juncture, I was fully aware that I was still full from the entire day of eating! 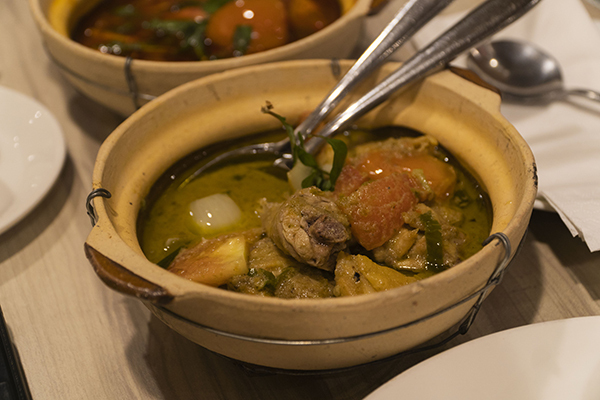 We were served with a Dulang set of Ikan Asam Pedas and Ayam Gulai Masak Lemak. I leaned more towards the Ikan Asam Pedas to a point where I found myself just scooping the sauce as to not waste it! Just before leaving for my room, I noticed a beautifully set table next to the pool, and when inquiring further, I found out that it was a candle lit dinner setting that you can request if you wish to have a romantic dinner with your significant other to celebrate an anniversary or special occasion. Finally, after the entire day testing out the facilities and eating all the food it was finally time for some sleep. The bed in my room was amazingly comfortable, and you can bet that after all the food I had throughout the day, I was knocked out. 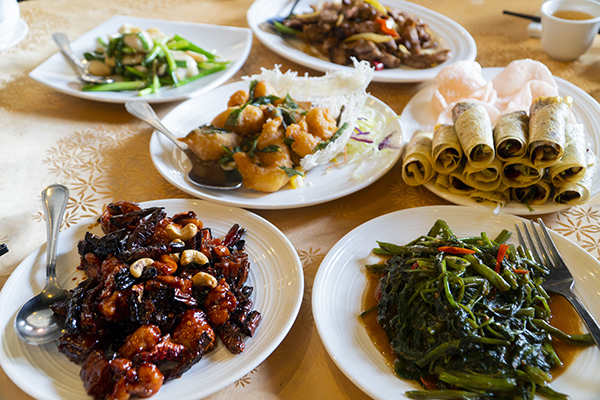 In the morning, we headed down for breakfast, but I had to hold myself back a bit as our lunch was going to be at Qing Palace again, and that was something I was truly looking forward too. After getting some time to unwind, we then had lunch at Qing Palace, ordering some of our favourite dishes such as Salted Egg Yolk Prawns, Sautéed Chicken with Dried Chili and Cashew nuts and my personal favourite; the Beijing Duck with Black Pepper Sauce. Although, I’m not a fan of duck, but their duck was amazingly tender and it instantly became my favourite. It was finally time to depart, but you can be sure that I’ll be back here again for another stay, if only to dine at the Qing Palace! So want to plan an amazing weekend at Pulai Springs Resort? Make a reservation now! For further information, please visit Pulai Springs Resort’s official website at www.pulaisprings.com or call +607-5212121.